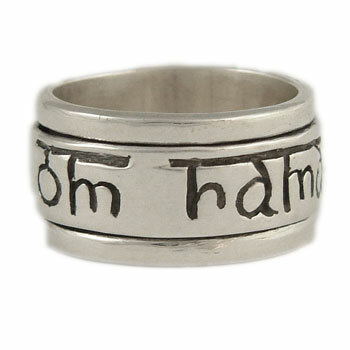 Spinning ring with Om Nama Shivaya carved in faux-sanskrit. This mantra is sometimes used to ask god to break our barriers of ignorance away and bring us to enlightenment. It is chanted during meditation or for general uplifting. Om is universal truth. Nama means to bow or honor and Shivaya refers to Shiva. Shiva means purity and as we chant his name our sins are destroyed. To measure your ring size, take a string and wrap it around your finger's circumference. Make sure string will also pass over your knuckle. Measure the length of the string in mm. See mm equivalents below. Ring sizes are listed in US sizing system. Please see below for other equivalents. 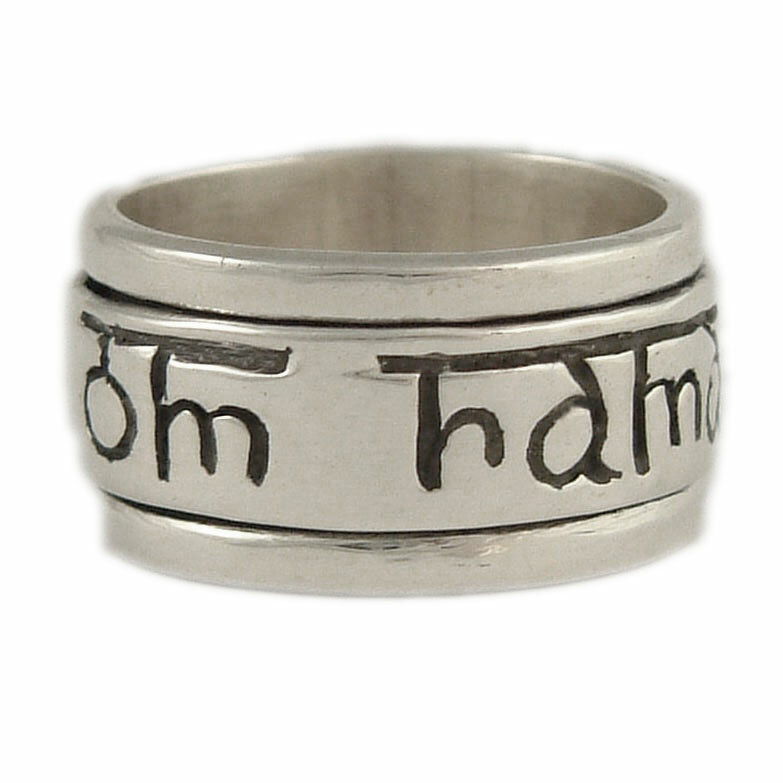 Om Namaha Shivaya written in Hindi script on a beautiful pounded cuff bracelet. This mantra is sometimes used to ask god to break our barriers of ignorance away and bring us to enlightenment. It is chanted during meditation or for general uplifting.